OptimizePress Review 2019: Should You Buy This Plugin? OptimizePress is probably one of the oldest builders in the market. In this review I’ll show where it stands now and whether you should use it or not. A lot of unique features. Straightforwart and easy to use. Informative FAQ page with ticket support. One time payment but a little bit high. The only page builder that has membership portal. Best for building sales and lead generation pages. Live editor with stunning templates. Some templates lack in quality when compared to other builders..
Shows same social media networks on all positions. If you’re a marketer, you know how important it is to create high-converting landing pages, sales pages and funnels. Many builders focus on the aesthetics more than the functionality. There are only a few builders that help you build pages with conversion and marketing goals in mind. And one such builder is OptimizePress. Let's see more details of this plugin. Conclusion: Should You Buy OptimizePress? 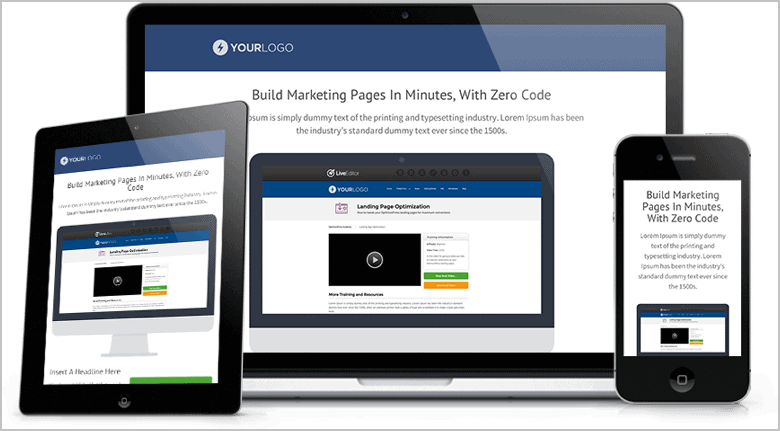 OptimizePress is a page builder for WordPress that lets you design landing pages, full scale marketing sites, sales page, launch funnels, training pages, and even membership portals. It is safe to say that OptimizePress is not just a page builder. 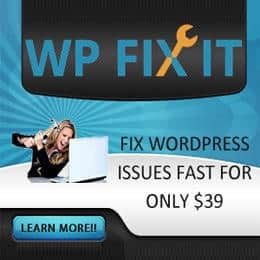 It can help you manage all your pages on WordPress. Just like any other page builder, you can create pages in real-time by dragging and dropping elements on the page. It comes with 30+ customizable templates and is fully responsive. One striking feature of OptimizePress is that it comes in both, theme and plugin formats. So, it lets you use the plugin if you want to use any other theme on your website. This was just a quick overview of the features of OptimizePress. Let’s discuss these features in brief. It offers a live-editor that lets you create pages in real-time. You don’t have to refresh, preview, or reload the page to look at your design. This feature is a must-have in all page builders and OptimizePress offers it. The live editor is very easy to use and you won’t face any difficulties in using it. OptimizePress comes with over 30 different templates that can be imported and used directly to create your site. All the templates provided in OptimizePress are conversion-focused and using these templates will help you get high conversions. There are more than 40 elements provided in OptimizePress to help you create pages. All these elements can be customized to their own extent by changing different options and styles. It’s important to have pages optimized for different screen sizes. Since the number of people accessing the internet using mobile is increasing fast, ignoring responsive design is a red flag. OptimizePress is fully responsive and your pages will look stunning in all devices. You can make further changes to your page based on different screen sizes too. These are some features of OptimizePress. 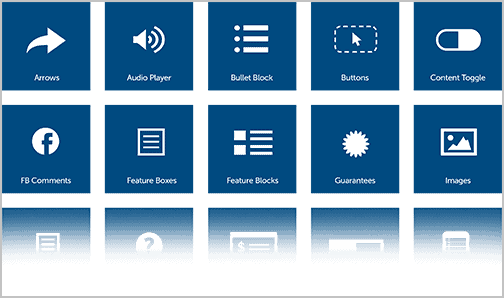 In every page builder, the most important part is the page builder itself. No matter how good the features are, if the page builder is not good enough, the plugin is of no use. So, let’s now discuss the page builder of OptimizePress. The OptimizePress page builder is pretty straightforward and you can create a page in 4 simple steps. The first step is to give a name to your page and select the layout. You can either select a blank page if you want to build from scratch or use a template. After making your choice, you can then go ahead and design your page in the live editor. If you’re using a template, it won’t take much time to modify it as the live editor is very easy to use. All you will have to do is to change the color, text, size of the template to match your website’s design. You can also add extra elements if you want to. There are 40+ elements that can be added in OptimizePress. Once you’ve created your page, you can either save it as a draft or publish it directly from the live editor. OptimizePress also gives you the ability to save your page designs as presets to allow you to use them on other pages. OptimizePress can help you create membership sites and portals. This is one of the best features of OptimizePress and no other page builder can do this. You can create and manage accounts for members using OptimizePress and deliver them content securely. This can be done by creating login forms, module listings, and breadcrumb trails that can be created easily in OptimizePress. What I love about this is that OptimizePress helps you save money from buying a membership plugin. Everything can be done in OptimizePress itself. On top of that, unlike many membership plugins, OptimizePress gives you full control over the design of the pages. You can control the design of the login page, module listings, and more. It also supports many integrations so that you can make the most out of your membership portal. Some integrations that are supported are PayPal, InfusionSoft, ClickBank, and Authorize.net. If you’re a marketer, you are already aware of what drip content means. Whenever someone joins an email list, they receive emails automatically for over the course of a few days or weeks. These emails are written, saved, and scheduled for automatic delivery. Such content is called drip content where the content is sequentially delivered automatically from the member join date. You can create and deliver drip content in OptimizePress. So, you don’t even have to spend a lot of time managing your membership portal. You can create the drip content and you’re set. OptimizePress is really good at providing a full marketing solution. You have seen many membership sites and courses offer packages. These packages may include content based on the features. You can create packages in your membership portals and allow only those members who purchased the package to access its content. You can integrate OptimizePress with your email marketing provider and automatically export your buyers to your email list. 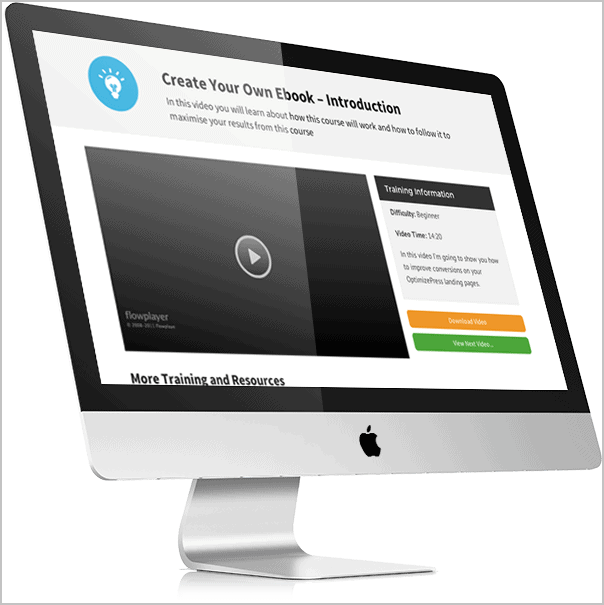 This way you can create a membership site and grow your email list at the same time. If you’re already using a membership plugin but also want to use OptimizePress, don’t worry. OptimizePress lets you use existing membership plugins and create pages for your locked content. I have used page builders in the page but OptimizePress is more than just a page builder. Do they provide sufficient support and documentation. Well, with a plugin that offers many features different from a normal page builder, it is obvious that there is a need of proper support and documentation. And OptimizePress has not let us down. The team over at OptimizePress has made sure that you can use their product without facing any problems. And if you do face a problem, you can get it fixed by their responsive support team. OptimizePress has a very detailed help page in which you can learn everything about the page builder and how it works. They have made quick start guides on every topic about their product. This includes documentation on how to use OptimizePress, using membership sites, themes, live editor, integrations, and some advanced tutorials. Not only this, the FAQ page is quite brief answering almost all the questions you might have about OptimizePress. But what if you run into an error? You can read their troubleshooting page that provides solutions to the most common problems faced by OptimizePress users. Lastly, if nothing is working for you, you can submit a ticket to the team for help. Thus, it is safe to say that OptimizePress takes providing full support seriously and they have done a really good job in making sure that you don’t face any difficulties in using OptimizePress. Let’s now talk about the pros and cons of OptimizePress. Though this page builder offers you a lot but still there are a few things that might put you off. Perfect for building pages focused on conversions and lead generation. Stunning templates available for all purposes. Live editor is very simple and easy to use. Membership portal can be used to create membership and selling sites. Drip content can be created for your membership sites. Some templates lack in quality when compared to other builders. 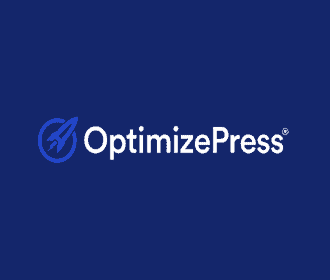 Let’s discuss about the pricing of OptimizePress. The plugin comes offers three pricing plans namely: Core, Publisher, and Pro. Use on up to 3 Sites You. 1 Year of Support & Updates. 1 Year of Priority Support. Use on up to 10 Sites You. All Core & Publisher Features. Use on up to 30 Sites. 1 Year Top of the Line Support. Now let's see which is the right plan for you. Core Plan: This plan is for you if you’re an individual or a solopreneur just getting started. You get all the basic features of OptimizePress that are more than enough to build awesome landing pages and membership sites. Publisher Plan: If you are an experienced marketer and work with a small team, this is a well-suited plan for you. Pro Plan: This plan is for advanced marketers who run more than 10 sites. If you are going to create a membership site, then go with OptimizePress. But if you are looking for a better page builder, I'd recommend Thrive Architect. 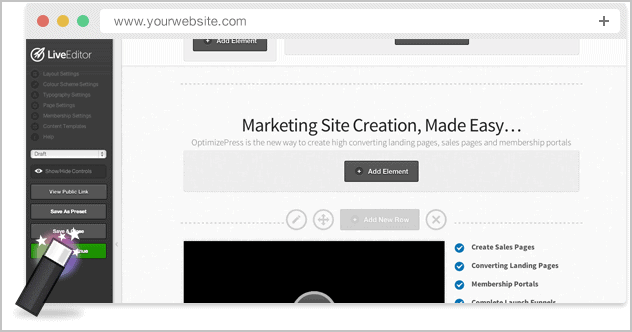 The only page builder that comes close to OptimizePress is Thrive Architect. The reason for this is that Thrive Architect was also built with the purpose of creating high-converting landing pages. This page builder provides a ton of templates that are not only conversion-focused but also look stunning. Apart from this, Thrive Architect offers many elements that can be used to create awesome landing and sales pages. Thrive Architect’s single-site license costs $67 which is way cheaper than OptimizePress. But then again, it doesn’t provide cool features like creating membership sites and offering drip content. If you want to create a site with pages focused on getting high conversions and also want to create a membership site, then you should definitely buy OptimizePress. On the other hand, if you’re a simple WordPress user who wants a simple page builder to design attractive posts and pages, then this might not be the right plugin for you. I'd recommend Thrive Architect. OptimizePress is really a good plugin for building landing & sales pages with membership portals and if you feel it can help you do these, then you should consider purchasing this plugin. OptimizePress is a good solution for creating a membership site with a great page builder. Buyer Beware! You may be left with a broken website!